​50 Wolverhampton Street, Footscray, VIC 3011. We acknowledge that we exist on the lands of the Woiwurrung and Boonwurrung people and we pay our respects to the elders past, present and emerging. importance of community and the creative arts. The centre is privately owned and managed and we attempt to keep rental costs low to encourage exciting and innovative use for rehearsals, workshops and other projects. Click here for studio hire. Click here for studio calendars. 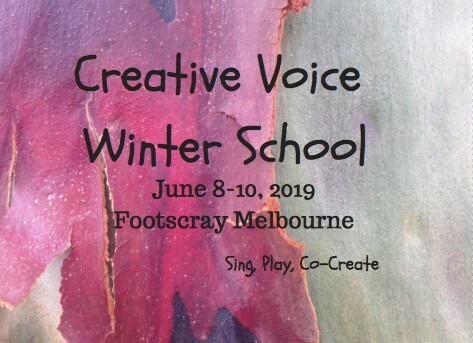 FOOTSCRAY COMMUNITY CHOIR. Term 2. T2 begins Monday 29 April 7-9pm in Helen's studio. Book at trybooking or come casually $20/$15. First session free. Any questions call John on 0430 120 436. ​Workshop with Musical Journeys coming up on 25 May. ​CLASSIC NIA DANCE CLASS with Sarah Marie. 9-10am, Saturdays from 27th April, 2019. $17. 3 for $30 intro or 10 class pass available. ​Donna Sparx is a professional hula hoop dancer who is passionate about bringing the dance into the hoop and sharing the freedom found in play and flow. Recognised globally for her creativity, innovation, flow facilitation and playful approach, she has shared the hoopla with thousands of people aged 2 to 72! Donna has performed with the Women’s Circus and at many festivals and events. She brings a passion and playfulness to her work that is infectious. Her motto: Do it ‘til you can. When not playing with or teaching hoops, Donna can be found doing acro, pilates, dooping (hooping at the dog park – yes, it’s possible to hula hoop, drink coffee and throw a ball for the dog at the same time), or deciding which leggings will best reflect her mood today. A YOGA SEED with Tess Healy. Sundays 6 to 7.15pm. Term 1 starts from February 3. Restorative and slow flow yoga classes for beginners and beyond. By learning how to attune to our breath, quiet the mind and rest our body deeply, we can begin to move more mindfully and gracefully through life; both on and off the mat. FOOTSCRAY COMMUNITY CHOIR. Monday evenings during school terms. Term bookings or come casually $20/$15. First session free. Any questions call John on 0430 120 436. THE THINKING BODY with Shona Innes. Alexander Technique lessons, Experiential Anatomy and Todd Alignment are Shona's areas of expertise. SUN YOGA with Lisa Worley. Term 2 starts 23 April. General Hatha yoga classes for adults. BINDU CREATIVE DANCE AND YOGA with Lisa Sommerlad. 2019 school terms starting 24 April. BLAKE MUSIC SCHOOL Professional tuition in guitar, bass, singing, keyboards, violin, drums, harmonica, sax, clarinet and even yodelling. You can contact individual teachers directly to arrange lessons. Singing: Belinda Foster belindasofra@gmail.com 0418502095. Guitar, ukulele, bass, drums, theory and composition: jake.d.donohue@gmail.com 0411384112.